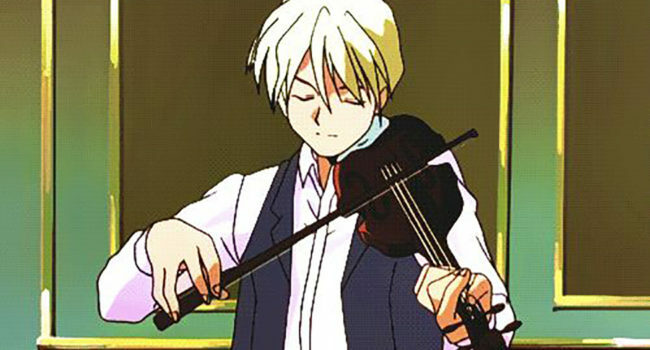 Sweet, gentle, musical and peaceful, Quatre Raberba Winner does not at first fit in with the rest of the pilots on the anime TV show Gundam Wing. Although he dislikes violence, he nevertheless pilots gundam Sandrock and displays incredible endurance from his childhood in the desert. The series enigmatically hints that he may be “the heart of outer space” due to his empathetic abilities. He wears a colorful ensemble of a light pink shirt and dark purple vest and distinctive bugeye goggles. Trowa Barton pilots the gundam Heavyarms on the anime TV show Gundam Wing. Quiet, reserved, determined and unflappable, he is a man of few words and calls himself “no name”. He took his current ‘Trowa Barton’ codename from the man originally intended to fly Heavyarms. A skilled soldier and gifted acrobat, he lost all memory of his childhood – including his sister Catherine – during a rebellion when his parents were killed. He wears a simple turtleneck and jeans underneath a fantastically long unibang. A descendant of Chinese warriors, Chang Wufei pilots gundam Shenlong in the anime TV series Gundam WIng. He is a fierce, conflicted, emotionally volatile pilot, often triggered into impassioned outbursts and refusing to fight against those he deems weak. Before he piloted Shenlong, he was married to a woman named Meiran as per his clan’s customs. When she died in an Alliance attack on their colony, he took up his fight for justice in her name. He wears high-waisted baggy white pants over a blue tank top and sports a short ponytail. The foster daughter of Vice-Foreign Minister Darlian on the anime TV series Gundam Wing, Relena Darlian is actually Relena Peacecraft – heir to the throne of the Sanc Kingdom. She learns of her true identity after a random encounter with gundam pilot Heero Yui, which also launches a series-long romance between the two. As the main female lead of the series, she grows from a somewhat timid, reluctant participant to a determined, driven young woman. She is often seen in her trademark school uniform. The third member of the G Team, Trowa Barton, is the most experienced soldier and a skilled infiltrator; he’s often shown wearing enemy uniforms. He’s the only member of the group that was born on Earth. Personality-wise, Trowa is exceedingly calm and patient, with a determination that can only be described as inhuman. 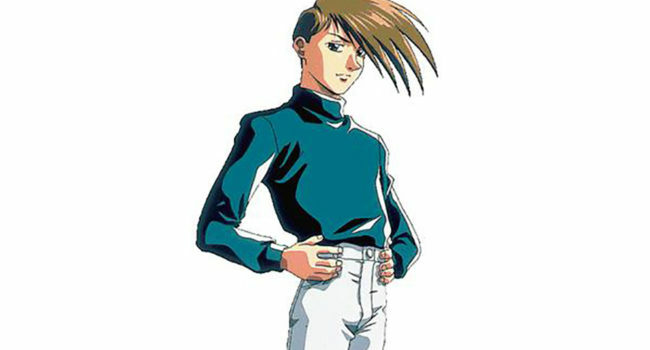 The man we know as Heero Yuy is the main protagonist in Mobile Suit Gundam Wing, despite not being the leader of the G Team. Having been disciplined since childhood, and with a little genetic manipulation, Heero is the most skilled of the five Gundam pilots. In combat he has no compassion for his enemies and is often described as the perfect soldier, although he normally has no trouble displaying emotion outside of a battle. Quatre is the pilot of Sandrock and leader of “G Team.” Along with the four other members: Heero Yuy (Wing Gundam), Duo Maxwell (Deathscythe), Trowa Barton (Heavyarms) and Chang Wufei (Shenlong), he is sent to Earth as part of a plan to take revenge on the OZ military corporation. Quatre believes in the idea of pacifism and is often reluctant to kill an enemy. He is kind and humble, as well as being the best dressed of the group. The class clown and best pilot of his group, Duo Maxwell helms the gundam Deathsythe on the anime TV series Gundam Wing. An orphan raised by the Maxwell church, he is the most personable, lively and ‘human’ of the pilots. Calling himself “shinigami”, or ‘the god of death’, he is always willing to come to the aid of his friends and shies away from no fight. He wears his hair in a signature long braid and dresses in a vintage jodhpurs outfit that bears hints of his religious upbringing.